A super atmosphere at the first ever meeting of these two junior teams. The match was very tight with over 21 matches. the final score: Mount Pleasant 35 Sutton 41. In terms of matches won and lost Mount Pleasant 10 Sutton 11. it really could have gone either way. A special thanks to Andrew Gilespie who provided all the Mount Pleasant players with specially printed tee-shirts. Well done to all who took part ! 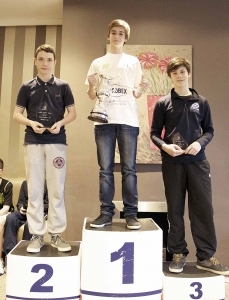 Two Finalists in Irish Junior Open. 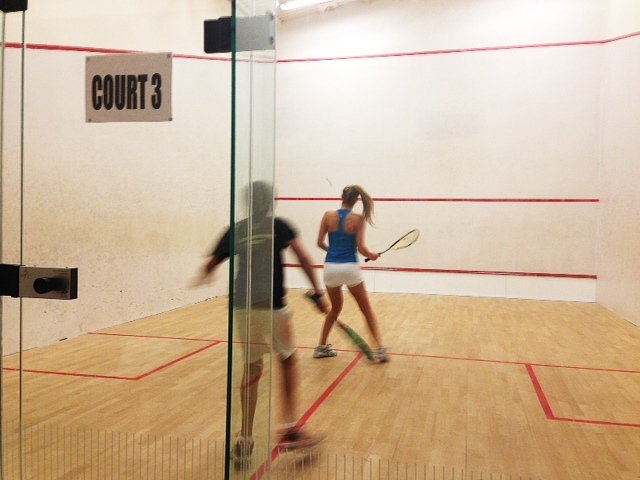 Both Griffin and Scott Gillanders reached the final of the Girls U17 and Boys U15 respectively . Both matches went to 5 Games with Griffin fighting back from 2-0 down position to just lose out 12-10 in the fifth game to Scottish player Carrie Hallam. Scott had 3 match balls in the fourth game but his Polish opponent Piotr Hemmerling saved all three and took the fifth game 11-4 , Scott had it all to do after conceding 5 stroke points. 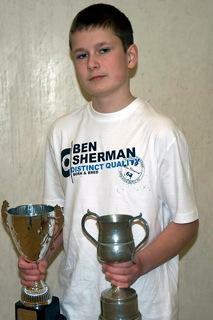 Nikita Gilevskiy also took bronze in the boys U17 going down to the eventual winner Scotland Richard Hollins. 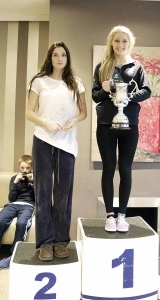 Also very well done to Naomi Nohar who after playing a qualifing match to get into the U13 section, went on the become runner up in the plate - Naomi is only 9 years old and a real prospect for the future! 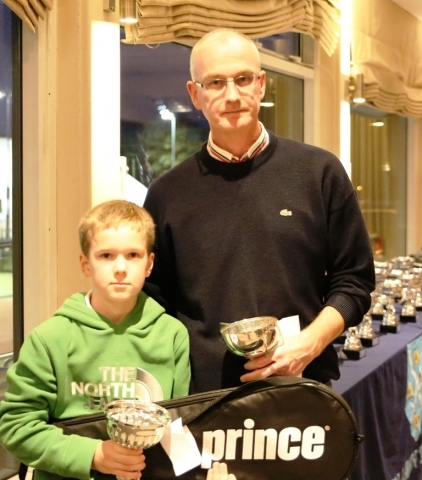 Mount Pleasant had our best day for junior squash last Sunday 10th November at the Prince East of Ireland 2013. 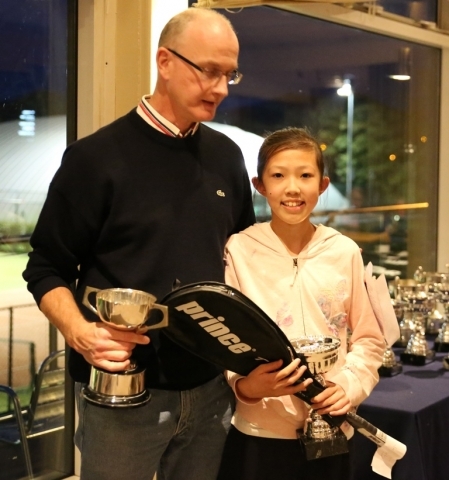 Brenda Li won her first final of her career taking the girls U11’s title without dropping a game! 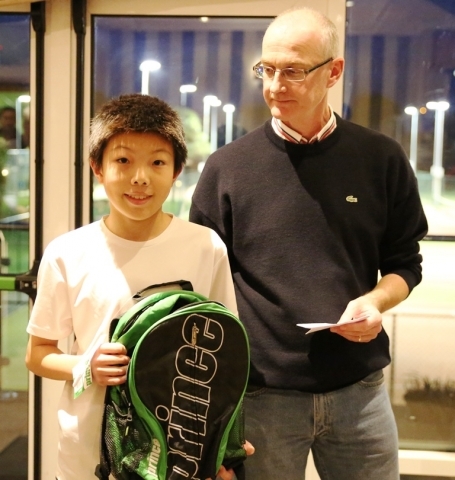 Scott Gillanders finished a credible 5th in U15 having just moved up in to this age category showing great racquet work beating the top French player Hugo Mandil for the first time in their 4 meetings. 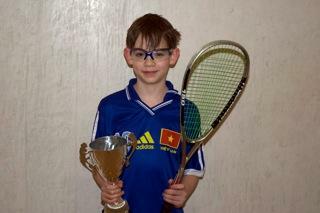 Denis Gilevskiy also did Mount Pleasant proud, at nine years of age Denis won his first 2 matches at under 13 level, practically an unheard of achievement in a Super Series event. Denis finished in a fantastic 8th position. 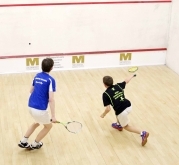 "The women’s final also saw the emergence of another top junior player, 16 yrs Griffin Gillanders from the Mount Pleasant club in Dublin. She met Ciara Moloney from Carlow and even though she went 2-0 down quickly and it looked like the more experienced Moloney, a member of Ireland’s Silver medal winning team from this year’s European Senior Championships, would win the match easily in 3 sets. 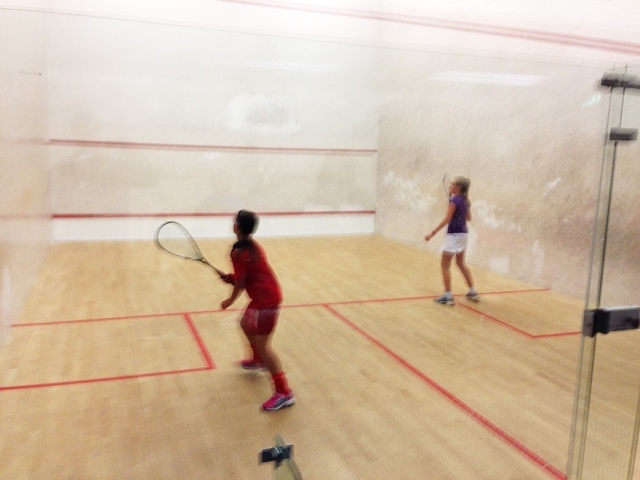 However Gillanders, came back superbly to win the next 3 sets, 11-7, 14-12, 15-13. So as the score suggests Griffin steadily got into her rhythm and was hitting very clean drives to prevail 3-2, to win her first senior title." 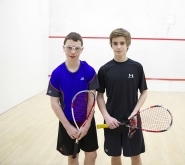 Another top Mount Pleasant junior Nikita Gilevskiy beat Phillip McSweeny 3-1 to win the C Final Robert Fay a youthful senior was runner up in the D final. 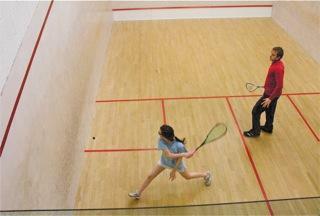 Just to say thank you to all who played in the Mount Pleasant JMO at the week-end. We are all very happy with the success of the event. 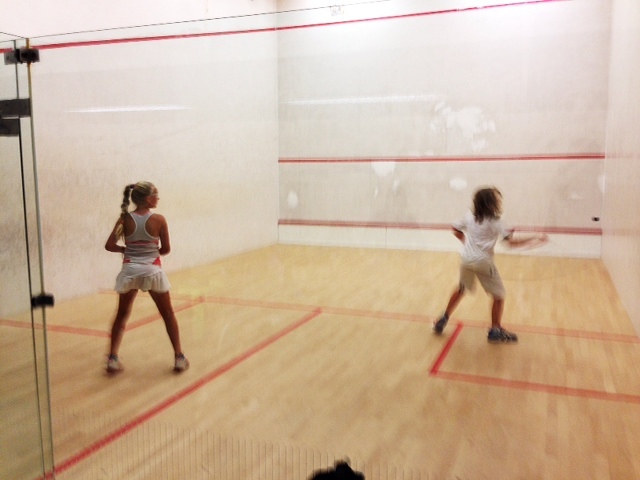 To have girls and boys and players of different ages competing against each was as fantastic as it was unusual to see. 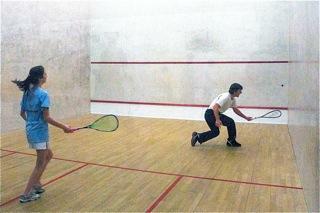 In addition to be able to present three full draws in a squash competition was very satisfying. I know that the players, particularly all our younger competitors got a great buzz from competing - many for the first time. 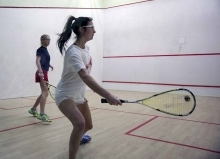 We are convinced that this is the way forward for junior squash in Ireland in the medium future, where the pool of players, particularly girls, is limited. We must to use the all the players we have to better effect in competition. Well done to everyone who supported our pilot event. Of course we will be delighted to see you all at the Mount Pleasant JMO 2014. In the meantime we are planning to run a one day event in the near future so watch out for that. “Hi Henry, Fiona here – Spencer’s mum. Thanks a million for a brilliant weekend. It was a great experience for Spencer and all the other kids. It was amazing to see the competitive spirit in all of them. Thanks for all your work in organising the tournament. I think Zach learnt loads from it. Thanks for all of the effort that you guys put in!! It seemed to go very smoothly. Jude really enjoyed it and told me that he feels he learned a lot from the experience!! A nice treat to get a voucher for Martyn Evans, too! Very unexpected. I've just entered him for the Connacht U13 to keep up the educational process! “Great event Henry, well done to the you and the team and I thought the format worked out very well. Looking at the results yesterday and to see so many thrilling 5 setters was fantastic and judging from the overall atmosphere I thought the kids seemed to be really enjoying the event. Mixing the event certainly challenges the seeding so the kids are closely matched and mixing the girls worked out very well with some ding dong matches. Jack loved the weekend and has been asking if we can build a court out in the back garden!! The Mount Pleasant JMO is a standard based tournament. All players will be seeded according to recent Irish rankings and the opinion of the organisers, regardless of age or gender. Two of our top juniors, Scott Gillanders and Morgan Kelly in elite Belgian Squash Camp- Photo taken at end ofthe last day after a tough, gruelling week of squash and physical torture!! 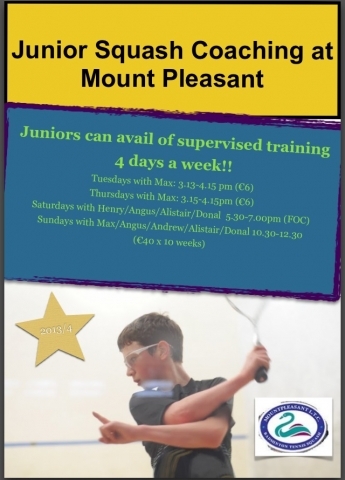 Mount Pleasant has a thriving junior section with up to 25 regular junior players from 5 years to16 years. 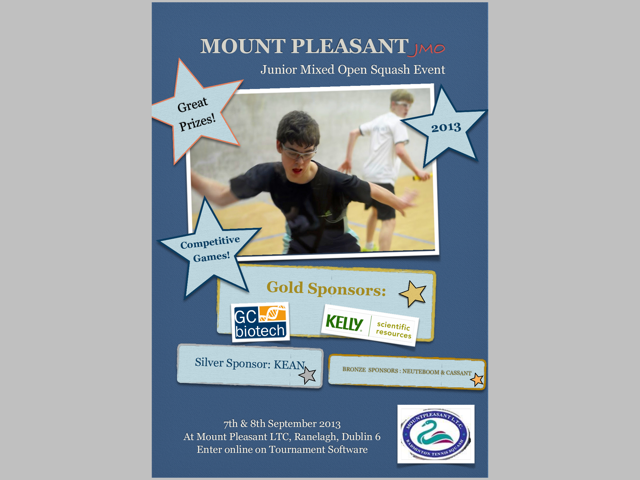 Mount Pleasant Juniors have represented Ireland and international competition on over 7 occasions! 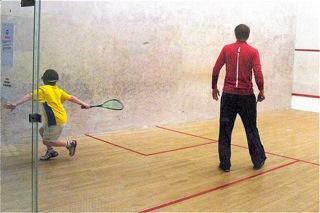 All prospective junior players are welcome to attend the Sunday morning coaching sessions to try out our great sport! 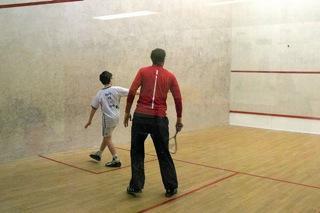 Junior members also compete in the internal box league (see main squash page for more details on the box league). Congratulations to Griffin Gillanders, Nikita Gilevskiy, Morgan Kelly and Scott Gillanders who have all been chosen for their respective Irish teams. 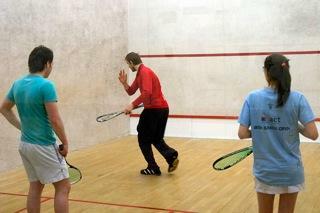 Mount Pleasant were delighted to recently play host to Peter Nicol and James Wilstrop. 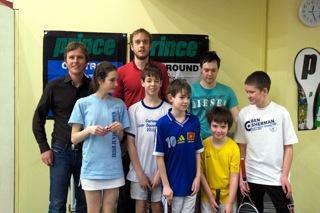 Both players gave some coaching to the MP juniors. 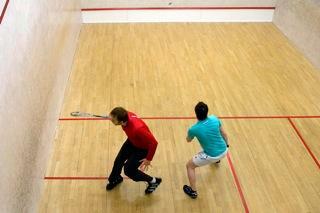 Peter Nicol is a former World Number 1 squash player while James Wilstrop is currently ranked number 4 in the World. Click on thumbnails below to view all the action. The Mount Pleasant juniors received a massive haul at the 2010 Carlow Open walking away with both the Under 11 boys plate and the Under 13 boys Cup. List below shows the MP juniors ranking as of the 16th March 2010. Griffin and Scott Gillanders attended the Jonah Barrington Summer camp in Sommerset 2009. 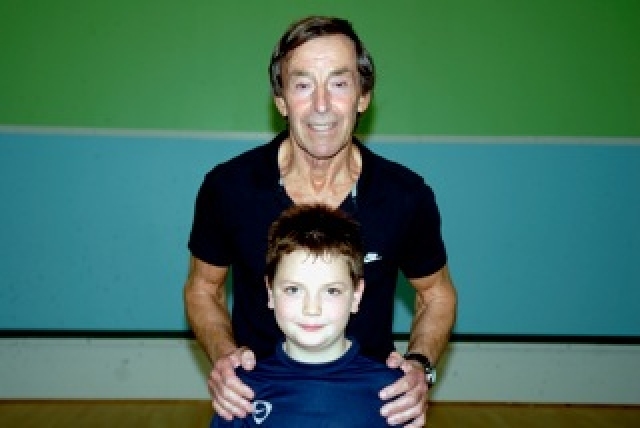 Jonah Barrington is widely considered to be one of the greatest squash players of all time.